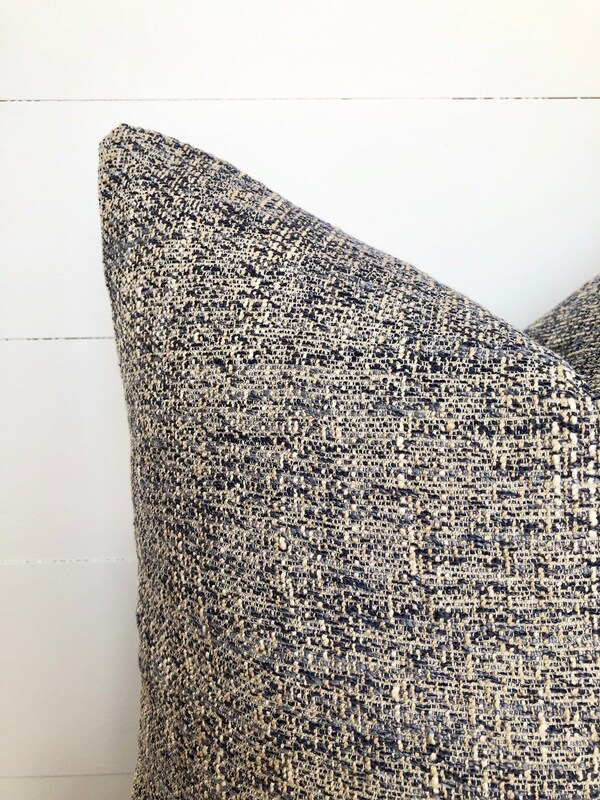 This navy and beige basketweave fabric is very heavyweight and the perfect cushion to add a vibe of worldly exotic charm to any decor. 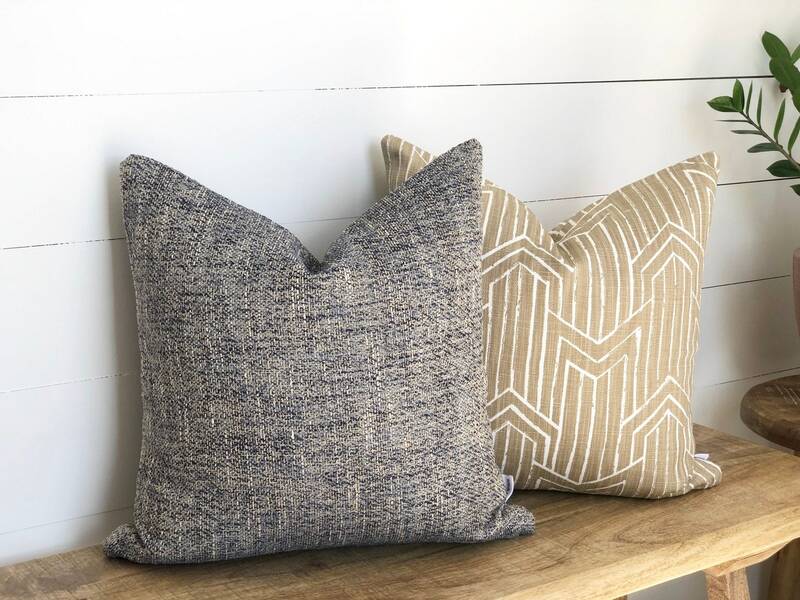 Gorgeous earth inspired hues of ecru, mushroom, and taupe blended with a precious navy blue. 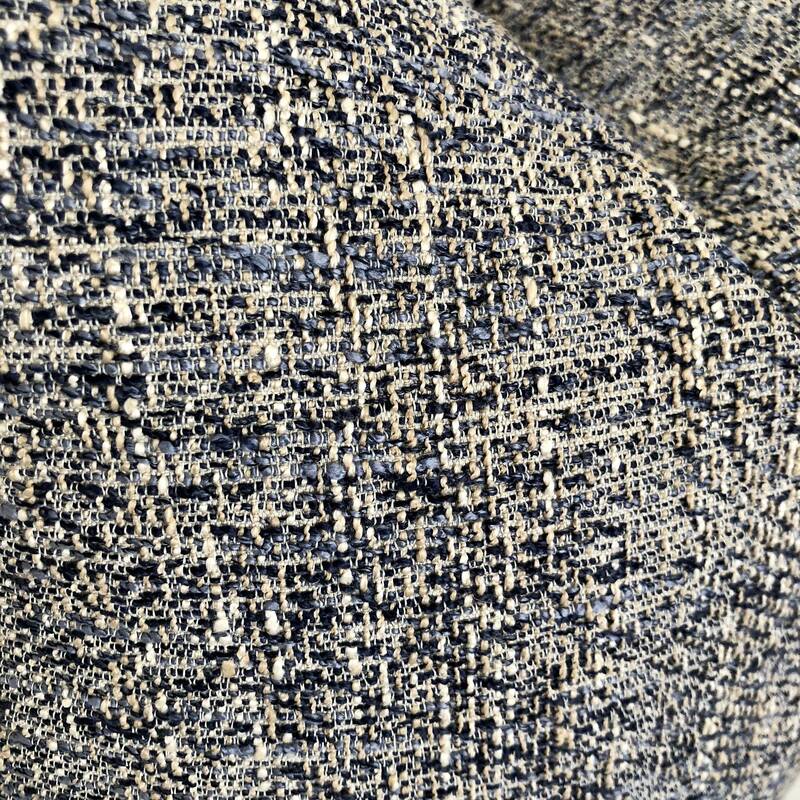 So thick and textured adding dimension and absorbing all the attention. 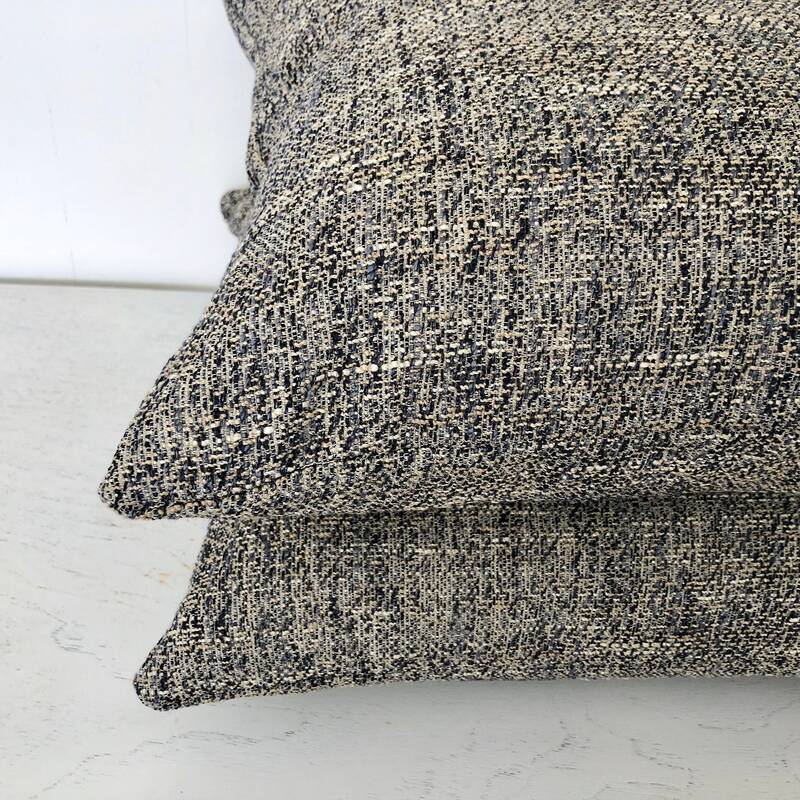 Can be added to warm tones or gold or browns or even whites for a coatal or hamptons feel or the perfect classic vibe cushion. 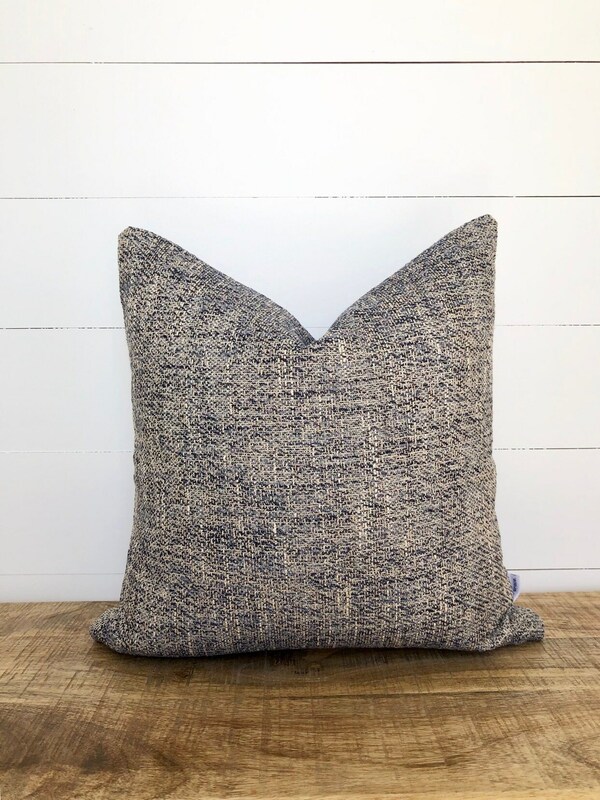 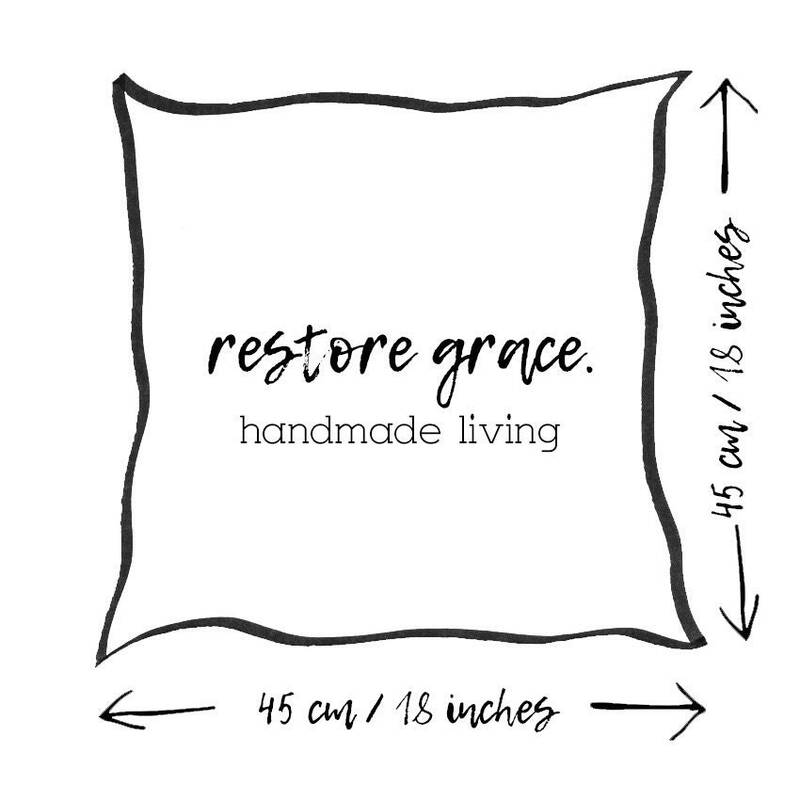 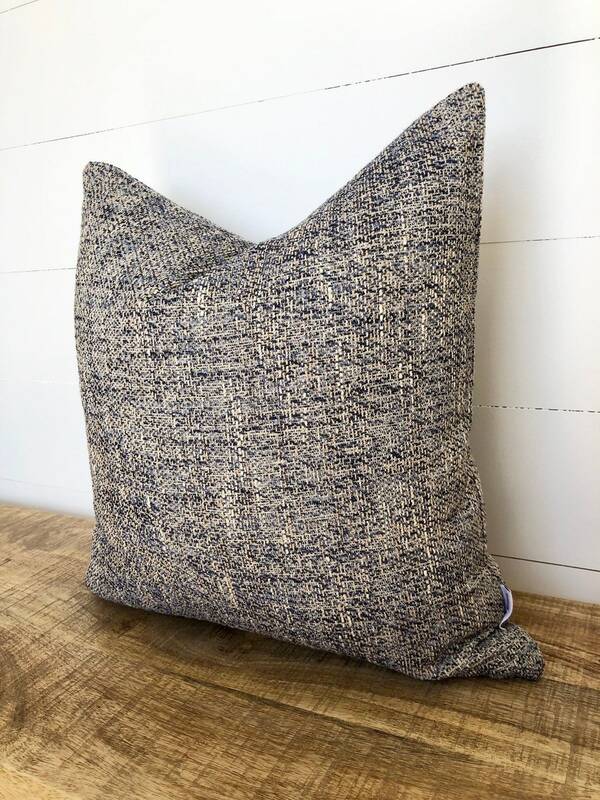 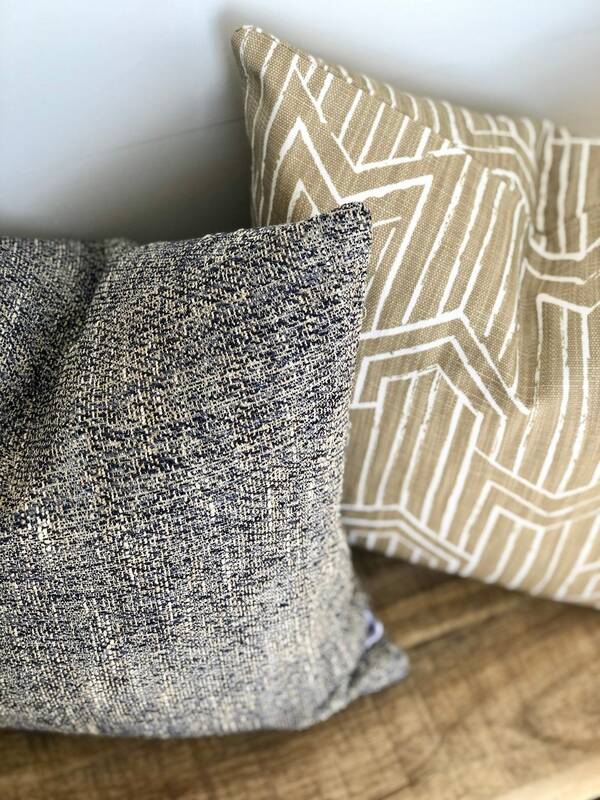 Although some of our gorgeous cushion fabrics are made by Designers, such as this by Ellen DeGeneres all of our cushions are HANDMADE by restore grace.